Oban High School U16s reached their second successive appearance at Scottish Rugby’s School Finals Day with a hard fought 24-5 win over Ardrossan schools on Wednesday last week. 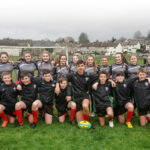 This makes for a big day out for Argyll and Bute at finals day with South Argyll Schools (Lochgilphead, Tarbert, Islay and Campbeltown) also playing at BT Murrayfield’s back pitches in the Bowl Final. Oban and Ardrossan fought hard to get their semi-final tie played with the weather and Calmac ferry timetables causing issues in the build-up to the match. The players also had to deal with 50mph winds and driving rain making for very challenging playing conditions. Despite the weather both teams did their best to create some good attacking rugby in a low scoring opening 15 minutes or so to the game. Oban increased their pressure as the first half wore on and eventually breached a strong and well-disciplined Ardrossan defence as tries from Kenni Gray and Naithan McCulloch gave a 12-0 half-time lead for the home side. Rory Reade and Bailey Wild from Tobermory High School have been a great addition to the team this year and were having their best game in an Oban jersey. Reade impressed in the scrum and made some great carries while Wild made some fantastic runs out wide to put Ardrossan on the backfoot. Blair MacFarlane controlled the ball well at stand off allowing Gray and McCulloch to score a further try each giving Oban a comfortable 24-0 lead. Ardrossan to their credit kept their spirits up and scored a very well deserved try in the closing stages as Oban ran out 24-5 winners. After just losing out in last seasons Bowl Final against Auchinleck Academy, Oban High will face Galashiels Academy in Wednesday’s National Plate Final on the BT Murrayfield back pitches. 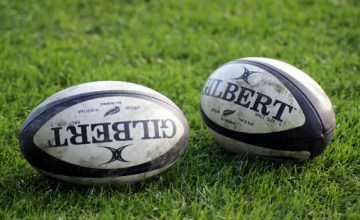 ‘Gala’ are renowned for being one of the stronger schools in Scottish Rugby Borders Heartlands and will provide a huge test for the Oban players. Kick off at BT Murrayfield is at 2pm on Wednesday December 5. South Argyll Schools U16 will be contesting the Bowl Final also on the back pitches at 2pm against the Royal High School. 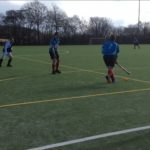 Having two teams representing Argyll and Bute at National Finals day is a huge boost for the sport in the area with six of our secondary schools represented within the two teams.